How Did the Cow Get Its Name, What Does It Mean, and Where Do Cows Come From? Cows are the most common type of domesticated cattle, and are raised as livestock for meat, as dairy products, leather, and even dung. The word cow came from the Anglo-Saxon word “cū”, plural cȳ, which means “bovine animal”, and several derivatives include the Latin “bos”, the Greek word “bous” (βους), and in Sanskrit, “go”. The word “cattle” was borrowed from Old French word “catel”, which came from the Latin word “caput”, which originally meant movable property, referring to livestock. “Cattle” is closely related to “chattel”, which means a unit of personal property and “capital”, and in older English sources, “cattle” refers to livestock. 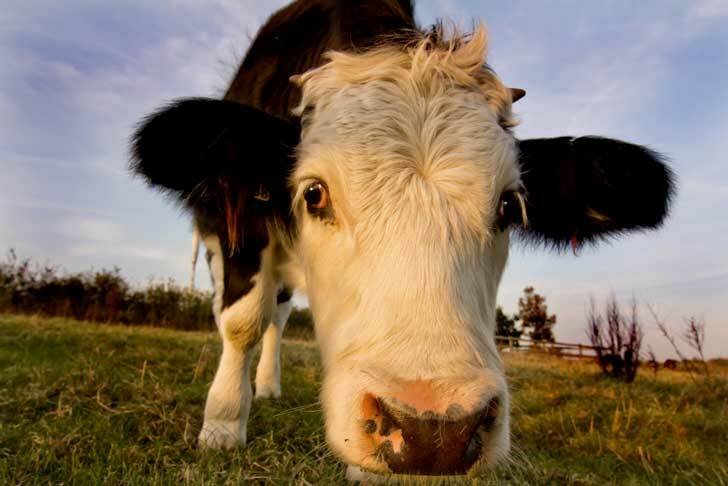 Cows or cattle were domesticated by humans since at least the early Neolithic period. The ancestor of domestic cattle, the Aurochs, ranged throughout Europe, North Africa, and much of Asia. Although there were wild buffalo in America when the settlers arrived, it lacked the basic dairy and meat cows that Europeans were used to. It was a good thing that Pilgrims brought cows with them on their long journey. When settlers moved west, however, they were able to outfit their ranches with cattle they found roaming wild. These feral cows were cattle that had escaped from herds brought to Mexico by Spanish settlers hundreds of years earlier. There are about 1.3 billion cattle in the world today. So many cows, so little time. How Much Methane Do Cows Produce Every Day and Can Cows be Used as an Alternative Energy Source?